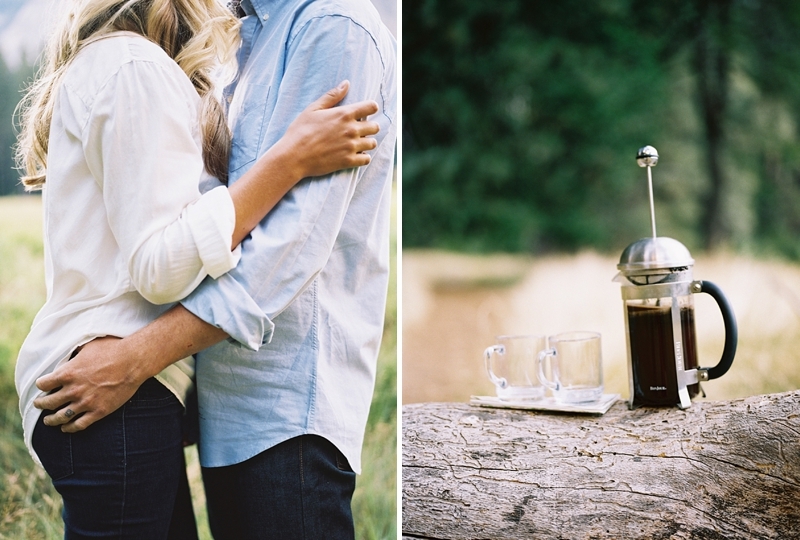 Morning coffee, the beauty of Half Dome, and love celebrated in the Sierra Nevada mountains. 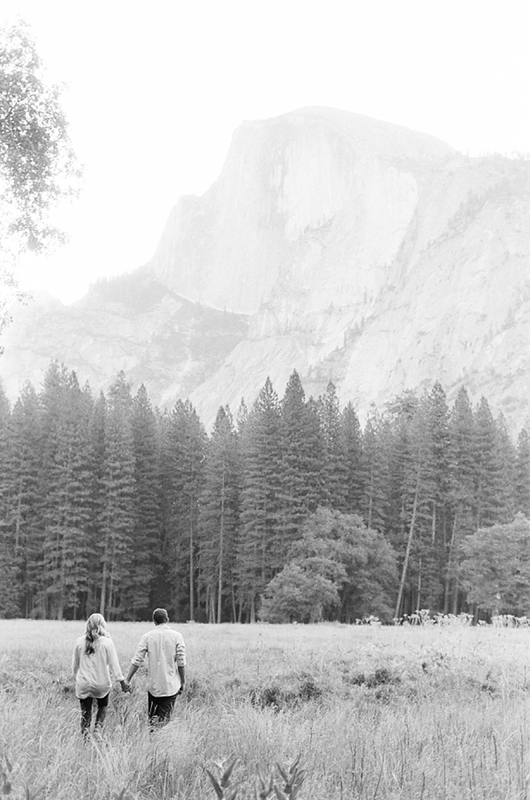 t is no wonder that Ansel Adams was inspired by the environment with his iconic black and white photography when you see the sublime granite behemoth that is Half Dome. 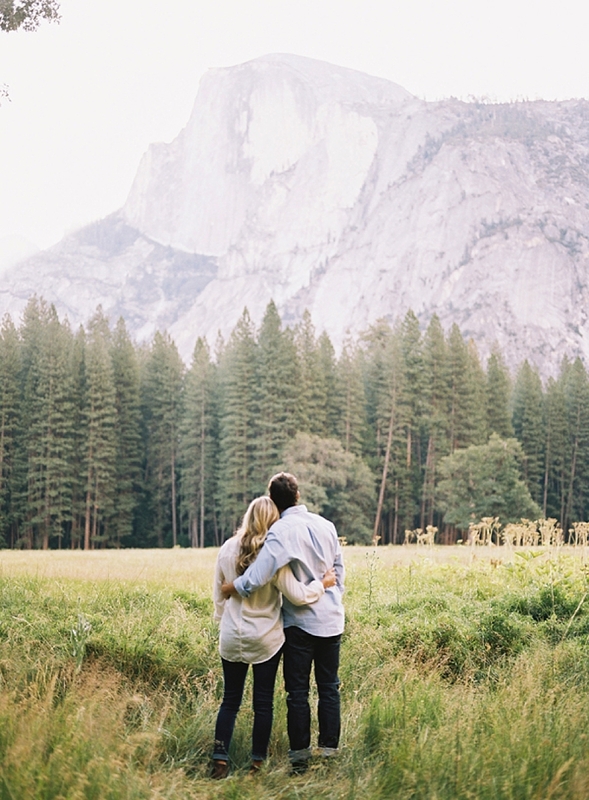 It inspires millions of artists, photographers, scientists, and nature lovers who visit the park yearly, and we are awestruck by its captivating spell every time. 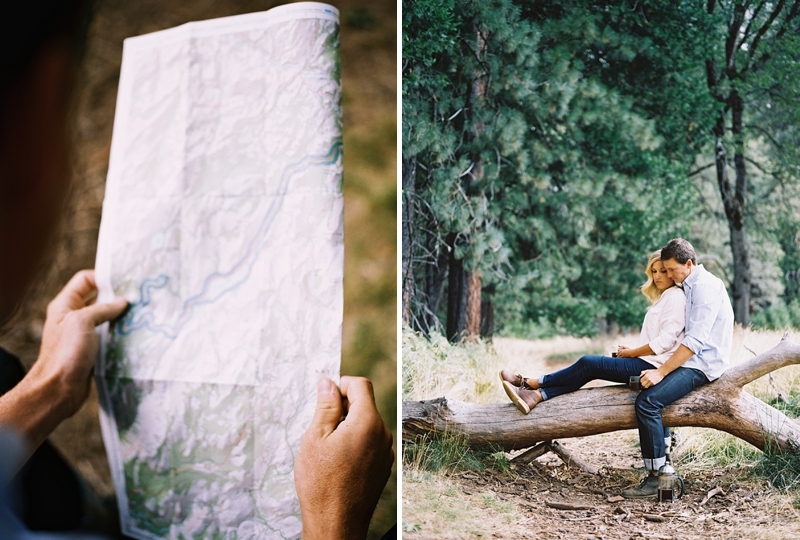 In the halcyon months of summer, Alycia and Joe vacation in the Sierra Nevadas. 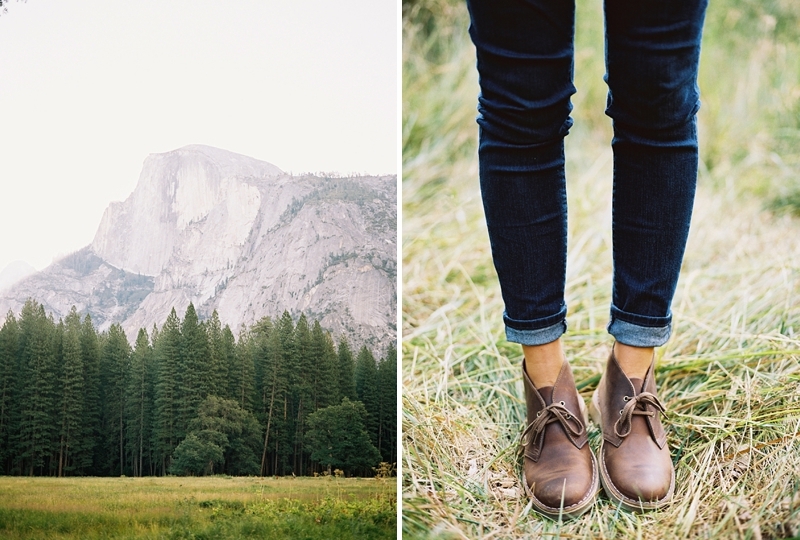 It's a time to go camping, hiking, and just enjoy each other away from the busy hubbub of everyday life. 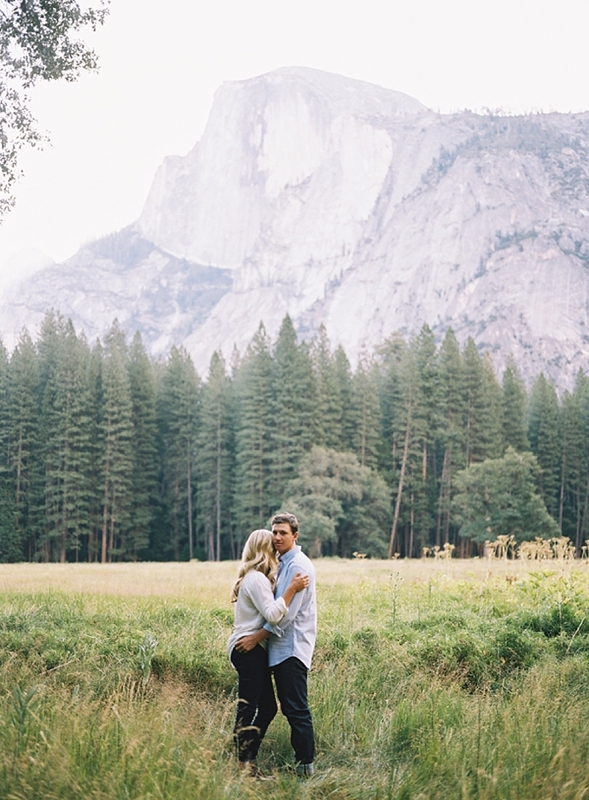 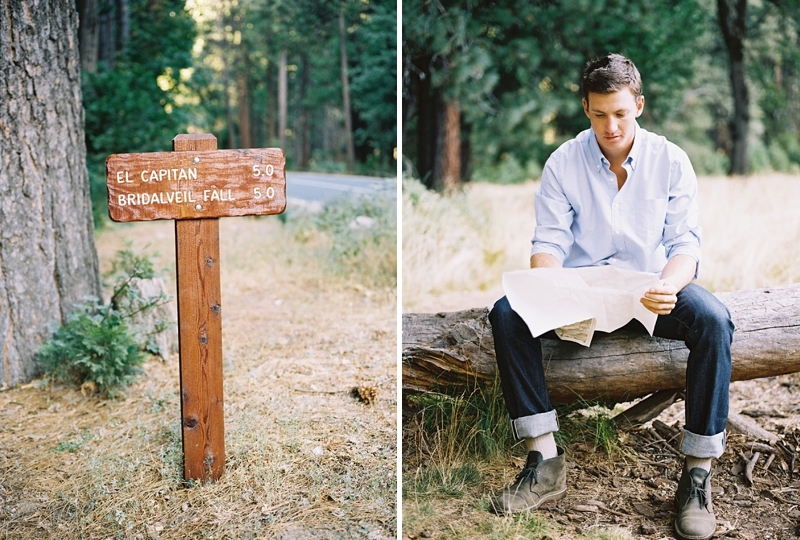 So to celebrate their love of the outdoors and for each other, they ventured into Yosemite National Park to recreate their camping routine in a quiet, secluded area away from their campsite with their best friend, Michael Radford Photography. 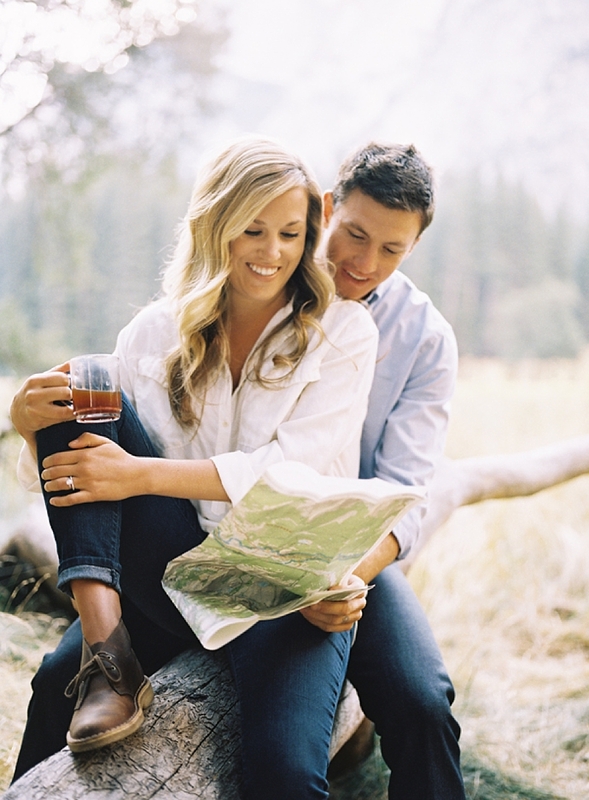 With warm French press coffee and a park map in hand, Alycia and Joe found the perfect spot with the most majestic views of the mountains and towering ponderosa pines that surrounded them. 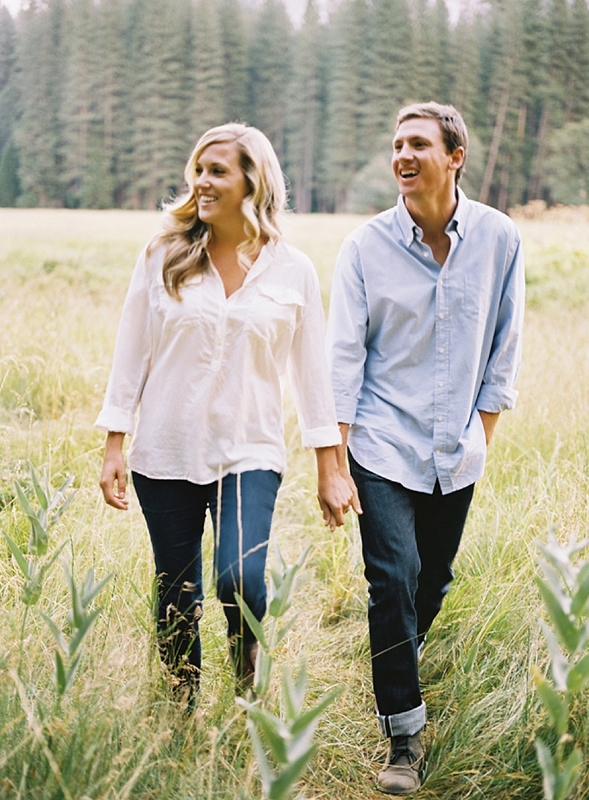 Their casual chic style in comfortable button-up shirts and jeans channeled the perfect rustic vibe; it was the quintessential way to commemorate their marriage in the woods.